Defense Minister calls his new Deputy Minister to apologize for not informing him of reversal of Judea-Samaria bus plan. Defense Minister Moshe Ya'alon (Likud) has apologized to Deputy Defense Minister Rabbi Eli Ben-Dahan (Jewish Home) for not informing him of Prime Minister Binyamin Netanyahu's decision to shelve a plan regulating the entry of Palestinian Arab workers into Judea and Samaria, Arutz Sheva has learned. 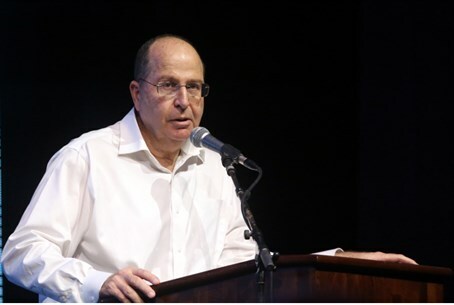 Ya'alon called Rabbi Ben-Dahan and apologized for the incident and said he would be happy to continue to cooperate with him, after Ben-Dahan told the media of his outrage at not being informed. Ya'alon explained that the cancellation was from the Prime Minister's Office (PMO) rather than from him. Earlier Wednesday, Ya'alon explained to Walla! News that the plan was not to segregate buses, but to ensure that workers leaving the PA returned home at night. "There is a security breach, according to a State Comptroller report issued in 2011, where there was no control on those who go to work in Israel" from the PA, he added. "In fact we started this week was a pilot test, at four crossings in Judea and Samaria, checking workers coming to work in Israel, and checking to ensure that they return. That was it." "All civilized states may - especially those with our sensitive security situation - check who enters and exits," he fired. "It comes down to this and nothing else."